A new Official Guide is out! It’s been a while since we’ve had a new edition, so this is definitely something to be excited about. The previous edition was released in the spring of 2009 and here we are, three years later, enjoying a fresh, green OG 13 (an abbreviation you’ll often see in the forums). The big change this time around? The test itself will be changing for the first time in years, with the addition of the new Integrated Reasoning section, which replaces the Analysis of an Issue essay of the Analytical Writing Assessment starting June 2012. The OG 13 mirrors this, since there’s a new part of the book dedicated to how to tackle Integrated Reasoning. In the back cover of the book you’ll also find a special access code to 50 Integrated Reasoning practice questions on the test makers’ website mba.com. It’s unclear how the new section will be scored, but one thing’s for sure: it won’t count towards that all-important 200 to 800 score you see on MBA programs’ websites, to the relief of many. However, note that the IR section comes before the quant and verbal parts (the ones that do count), so getting tired and/or nervous during the IR section will not do you any good later. That’s why I strongly recommend you practice this new format. As a side note, the new IR questions will look strangely familiar to those who’ve taken aptitude tests for investment banking and consulting recruiting! The other big news is that the book contains 158 new quant and verbal practice questions, out of a total of 907 questions for the two “main events” of the GMAT (if you’re curious to know exactly what the new questions are, check out this article). Is it worth buying the book for these new questions, if you’re not taking the test after the IR is introduced? In my view, it’s not, so for those who have the OG 12 and have scheduled their test before June 2nd, you’ve got nothing to worry about. In fact, if you compare the changes in OG 13 vs. OG 12 with the changes in the OG 12 vs. OG 11, you’ll realize there are significantly fewer new questions: the OG 12 had 300 new questions as compared to the OG 11, arguably a more dramatic change. As always, the OG is a must for all test takers. Since official guides are the only books that contain real, retired GMAT questions, they are utterly priceless as resources for practice. Replicating the exact structure and “feel” of real GMAT questions is something that test prep companies have yet to accomplish. A great, all-in-one resource for official questions, excellent for training your eye to spot commonly-tested patterns. This is the reason why I believe that it’s worth investing some energy even in lower difficulty questions (unless pressed for time). Detailed explanations in verbal: this is something that I have not seen mentioned often, but I believe is of crucial importance. In all three sections, explanations follow a similar style: an overview of the question and a solid analysis of ALL the answers, not just the correct one. Understanding why your answer is wrong is sometimes even more important than getting it right. Questions are arranged in order of difficulty, so if you have little time at hand and feel sufficiently confident about your knowledge, you can just focus on the last questions of each section. Good value for your money: at just over 20 dollars on Amazon.com , getting over 900 retired questions is a bargain. The OG is not a strategy guide, it’s a “workout list.” Each section contains a review of the subject, but this is not nearly enough to get you through the test, especially if your math skills are a bit rusty. You will need to rely on other resources for concepts! While verbal explanations are generally high quality, quantitative explanations are not as great. Some test takers (particularly advanced ones) will often find themselves opting for a quicker or easier way to solve the given problems. I will however note that more often than not, the OG explanations do not feature number picking. While this is sometimes a faster way to solve a problem, its use is confusing for some GMAT hopefuls. This book is intended to be a guide for the general test taker, so be prepared to see mostly easy and medium difficulty problems. If aiming for a top score, you’ll need to supplement your prep with harder material (such as LSAT sets for critical reasoning). As mentioned before though, do not neglect the easy stuff, since it gets you in the right mindset for the official style of questions. Besides, it’s usually the very easy questions that throw off advanced students! The Official Guide 13th is a must have, no matter your level. Even though you will have to spend some extra money on a good strategy book, getting the OG is crucial for your prep. As you go through various GMAT-related material, you will begin to notice the difference between an official question (clear-cut answers, great structure) and an unofficial question (structure is sometimes lacking, answers not as well defined). Because the “feel” of official questions is markedly different from that of test prep developed questions, I recommend saving/carefully reviewing some problems for the very last days before your test. Nice article..I have my test scheduled on 13th April, 2012. Now my question is is it worth buying this book for those 150 new Questions? Nope, I don't think it's worth doing that! Unless you are completely out of questions (i.e. have exhausted everything including the official guide supplements for quant and verbal), then no need to worry. I wonder why they've added this new IR section that doesn't count towards the score that matters. - GMAC had to respond to the sweeping GRE changes with something, be it a section that's not included in the overall 200-800 score. - the types of questions they've introduced are more relevant to MBA work than the essay they had in the past. It is better to buy the book as there are some new and tougher questions added to the OG. With the introduction of IR, there is no authentic materials for it. So only option is to buy the new OG. It is better to spend a few bucks than re-taking the test. Eagerly waiting for the New OG!!!! I envy your writing skill. Your reviews are awesome. Its like someone in person is talking to you. 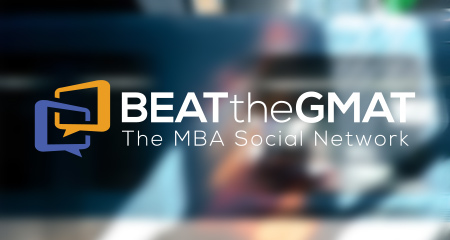 Im taking the GMAT on 25th June. Should I get the new OG or stick to the old one? Thanks Are there any other books just for IR which I cant get instead? Thanks Dana! Maybe Ill get that later. I have one more question... I am currently doing the 8 Manhattan Prep Books.. And Im planning to do the Kalpan Premier and the OG after this. Is this a good plan? Or should I use some other books ? The thing is, the Kaplan book is actually less thorough than the Manhattan ones, so doing that after MGMAT will seem like a step back, if you know what I mean. I recommend using the MGMAT books in parallel with practice problems from the OG - in fact, the MGMAT books feature sets from the OG where concepts are tested. Yes, I've just started using it and Im seeing that it covers OG problems. But Im assuming that these two books are not enough. Maybe, I should decide what other books to get depending on my strengths once I finished the set of MGMAT books? Sorry but I'm not sure which 2 books you're talking about. Manhattan has 8 books, plus the OG that would make 9 books in total which cover pretty much everything you'd see on the test. If you're talking about Kaplan + OG, that could be enough depending on your level, but this combo is much less thorough than MGMAT + OG. Hi, sorry for not being clear. I meant MGMAT + OG. Are they enough atleast for initial preparation? Yes, they are definitely enough. my math basics are not very strong is the Kaplan math workbook and the premier teh best to start with . hi Priyanka.... i am also planning for gmat in july end or august start.. i need some prep in verbal..how is ur verbal part. Those are good books, but if you'd like a more complete prep, check out the Manhattan GMAT series of 5 quant guides. The Kaplan Math Workbook and the Kaplan Premier have the same theoretical review (copy pasted), the only difference is in the practice questions. So buying both books is not worth it. You pretty much have to. About 50% of the problems are new in the OG 13 vs. the OG 11. Then you can't get access to the Integrated Reasoning questions with the OG 11, you need to buy the OG 13 for that. I am planning to give my GMAT around june-july and yet to start my preparation. I am aiming for 720+ . Currently my quants skills are good and verbal average. Could you suggest me books for the target score? - Official Guides (this one and the verbal, quant supplements). If you're already doing well in quant, you may want to drop the Fractions guide of the Manhattan lineup, possibly also the Equations one. I already have OG 10th and 12th edition books . Do I still need to buy OG 13th edition apart from the other above mentioned books for my GMAT in July? It depends, because you can't find practice questions for integrated reasoning in thw OG 12 and OG 10. If you feel you're good with that section, then you can skip buying the OG 13. If not, you might consider investing in OG 13. Dear Dana, i wanted to know how good is Kaplan GMAT Premier 2012-13. Or is the Kaplan GMAT premier 2013 better. I am giving the new GMAT format. Please tell me which one to use. Sorry but I don't know. I understand they made some pretty significant changes to the Kaplan 2012-2013 edition and the 2013 edition will be even more difficult. Hard for me to assess... Historically, Manhattan books have been better, but for the cost of a Kaplan book (vs. the $100+ for the entire Manhattan set), the quality was pretty good. So is it advisable to buy the Manhattan books as in the entire set ?? Also are the 2012-13 edition for Kaplan based on the new GMAT format ?? Yes, Manhattan books cover the entire test very thoroughly. As a set though, they are indeed more expensive than the Kaplan books. It's your choice in the end in terms of how much you want to invest in prep. It appears that the book does cover the new Integrated Reasoning section, per their Amazon.com description. Unfortunately I can't verify that, since as I mentioned I haven't reviewed the 2012-2013 Kaplan Premier book. I am right now referring to the OG...also i just ordered Sentence correction guide by Manhattan...n soon m gonna order CR Bible by powerscore and Advanced Quant by manhattan...are these books sufficient ?? I'm going to try to answer your question, but please note that in the next 2 weeks I will be moving, so I don't think I'll have as much time to answer questions promptly. I highly recommend doing a quick search in the forums, you'll find plenty of info. The books you list might be enough if you are already very strong in quant and don't need a theoretical review for that part. If you feel a bit rusty in quant, then it's worth getting some of the regular quant books from the Manhattan series. The Number Properties and Word Translations books are particularly useful, the Fractions one is kind of easy. Word Translations is about word problems, the kind without too many equations but with tricky wording. Yes, MGMAT books grant access to 5 practice tests. this manhattan set that you are talking about is it the same as Manhattan GMAT Set of 8 Strategy Guides, 4th Edition, which has been mentioned in the BTG book review section ?? Great review. Its very helpful. I plan to appear for GMAT sometime in near future (not sure in which month or even this year) but i wish to start preparing early as I might not be able to dedicate considerable time for prep due to some other commitments. My knowledge of GMAT is basic so I am reading reviews and forums. Till now yours has been the most helpful. Looking at the other reviews I can see that OG,13 and MGMAT are the better books. I am average in quant and below average in verbal. Which books do you think I should start with (OG or MGMAT)? Yes, those are good books to work with. OG + MGMAT is a good combination. Good luck! If I have to start with either one of them as the first book then which book should i go for (I can't afford to buy the MGMAT set and OG together) or is there any combination of some books from MGMAT set and OG to begin with? Thank you once again. Your review has been very helpful. I think that if you can't afford to buy all of them, it's best to invest in the ones you need. Buy the SC and CR books and the OG. For quant, the best MGMAT books are Number Properties and Word Translations. 3. MGMAT - number properties and word translations. I am sorry to be bothering you with so many questions. Thank you for solving my queries. Hi Dana, Great Revoew. I have my exam on 21 st June. So far, I have studied the 8 Manhattan GMAT books; I have prepared the extra 25 exercise that MGMAT provide for each section in their books. I have also performed a number of exams, by MGMAT and MBA. Additionally, I have completed all quantitative exercises in the OG 13 while planning to do an important bulk of the verbal exercices in the next week. During the last week I just want to relax and revise. My question Dana is that I studied very much for the exam but I have yet to feel masterful of the material. Is this normal? I have done reasonably well on the OG exercises, does this say that I am prepared? I want to get a minimum of 700 on my exam but I am afraid I havn't reached that range yet. Or maybe I just have to think more positively and trust myself more. Any opinion of urs would be really appreciated. It's hard for me to give an opinion on your case unless you provide some actual scores on practice tests. The practice tests you've taken so far are some of the most accurate in the business, so I think they should give you a pretty clear indication of where you stand. If your score is below your target, then you may need to re-evaluate your study approach. I wanted to ask what exactly is the difference between the verbal review and this new edition review?? ?I will be taking the exam in august and are 2 months sufficient for the prep?? The OG13 has entirely different questions than the verbal supplement. The OG 13 also has quant questions. Hi Dana..your review and the replies to various questions are really helpful. I will be starting my GMAT prep from this week and plan to give the test in Nov - Dec. I have bought the OG 13 to kick start the prep & will be gradually moving to other books. My quant has always been the strong point with verbal being average. Can you suggest some good books to go through after I fininsh the OG13. As I have ample time (around 6 months), I am aiming a 720+ score. Thanks in advance. I'm not saying you shouldn't use the OG (in fact, you most definitely should use it for practice). However, I believe there's a better approach to this. I didnt find any OG13 android app yet,could you please share the link where I can buy the same. The quant review book is good because it contains official questions, but IMHO they were a bit easy. So if your level is already good, you may want to try other sources such as the Manhattan GMAT quant books. Veritas has a book dedicated to DS! That book is mostly for practice and strategy, it doesn't really teach you how to tackle each problem. It is expected that you already know most of the theory from the MGMAT books (the 5 book set). Yes, the Veritas book has plenty of practice for DS you can try that as well. Hi Dana - Need a suggesstion - Can you please provide some input of the following book- Total GMAT Verbal - Jeff Sackman.Its pretty expensive at 40$ and is it worth buying at price. Sorry but I've never reviewed it. You can try searching our forums for more info on what our members have to say. I own the 12th Edition of the Official Guide, which my sister had bought. Should I go ahead & purchase the 13th edition, as in is there a drastic leap between the two books, or can I prepare for the IR section & cover up the extra questions through other resources? As you can read in the review, the changes are not fundamental. I believe you can still use the OG 12. However, it will be a bit tougher to get IR questions. Hi ! I have started my preparations from the 1st week of September.I ll be giving my GMAT on the last week of November.Are 2.5 months sufficient enough to get a 700+ score? I have not been in touch with the basic concepts of math for quite a while now and I am just above average when it comes to Verbal.Please suggest a way to kick start my preparations. Hello, Just started my GMAT planning. Is the OG 13th edition the latest edition? Where do you take a diagnostic test? Is there some where I can access a "plan" on how to take the GMAT's in 3 months? I'm a beginner in the world of GMAT and have very little knowledge about structure of the exam. I plan to take GMAT in May-June 2013 for which I plan to start my preparation by the end of Dec'2012. These days i'm researching on google to gather as much information as I can. So far this is the best place where I have found answers to almost all my queries. Based on your inputs I plan to concentrate on OG(all books) and Manhattan (complete package). I plan to take mba.com's diagnostic test on 15th Dec'2012. My specific question to you is whether I should prepare/study for the diagnostic test or it should be impropmtu ? Also, I want to take another diagnostic test on 22nd Dec so that I can know where I stand. Which test should i choose for my 2nd diagnostic test(Manhattan or Kaplan or any other) ? Is the 2nd diagnostic test required ? What is your overall feedback on my overall plan. You could study a bit, but not too much - I'm afraid it won't help if you try to cover everything. Remember, this is a diagnostic test, not the real thing. The purpose is not to get a high score but to understand where your level is. I don't think it's necessary to have a second test just one week after the first, i would spread out tests at least 2 weeks apart. I am thinking to buy full version of GMAT prep software that includes 404 questions, but before i go ahead i need your advice. What will be worth ? O.G-13 or GMAT-prep software. I have O.G-11, O.G-12, and other O.G reviews, and i am done with those books. The books you've covered up until now should be enough. If I were you, I'd spend my time reviewing mistakes and theory instead of going for fresh questions. I see little justification for you to buy an extra 404 questions right now, unless you have a lot of time left for the test and you've already finished reviewing. I have done the reviewing and a month is left. So, I was thinking to do questions from GMAT-prep before i start with the mock tests. I am a novice in the field of GMAT. Just wanted to know whether I need to purchase any other book as you have mentioned few other books??? I think you should be fine with these books. I just started studying for the GMAT. I ordered the OG (13th) and started the math review. My question is should I be starting with this? Or should I start with the Mgmat books? Or both at the same time? I am really rusty with the math and I really don't understand the concepts. I am afraid to jump into the practice questions on the OG and "waste" them do to my lack of understanding. I scored below average on the math. I strongly recommend that you first start out with a proper theory book. The Manhattan GMAT set is pretty comprehensive in that sense. It doesn't make sense for you to practice assorted problems (and that's what the OG is) before you grasp the concepts. First review the theory and then do the practice. I am planning to take GMAT in November and have just preparing for it. I have a rusty quant and below average verbal. Can you pl suggest me some books I shall start with and their respective links to buy. I am aiming at a score of around 680-700. I tried searching for the MGMAT material on amazon, only books available were 2012 published. Since the GMAT format changed in 2012, will those be a good pick? The most recent version of the MGMT set should include the updates to the GMAT, so most likely the set that is at the top of the search on Amazon should be fine! In what order should I approach them? Should I buy all of them? Do you recommend to purchase a book on Integrated Reasoning? What will be the best way for me to prepare for Analytical Writing Assessment? I think you will probably be fine with what you have already plus the Manhattan guides. Veritas Prep isn't really necessary if you have the OG and the Manhattan RC guide. I think it's marginally better, but not worth the effort in your case. Unfortunately I don't know too much about the LSAT - it wasn't really on my to do list. The PowerScore guides on that one are pretty famous though! I have Og 12 and all Manhattan books ans Sc Grail 3rd edition . Is it important to buy OG13?. I am very confuse wheather to buy OG13 or not. please help me. I think the OG12 should be fine. Buy the OG13 only if you need extra practice. Hi, i am starting with gmat preparations and have ordered the latest gmat review 2015. The thing is, should i start the preparations with the same book or should i refer some other books and then move to the OG? PS: i am really not very good with Quants. And i guess i should start with basics and then move ahead. so is the OG enough?